Great Apartment, waiting for ongoing construction to be finishedsubmitted by Paul S. - Sep 28, 2016 |Recommended: YesGreat apartments with a great clubhouse. Everything is new. Only problem is the constant construction of the new buildings being built.  response from property - Sep 29, 2016 Thank you for your review of The Falls, Paul! We appreciate your comments. We hope you continue to enjoy your residency! Great place to live.submitted by Sumit C. - Sep 28, 2016 |Recommended: YesNo noise, no interference. The staff is great. People in your neighbour are great. Very helpful. response from property - Sep 28, 2016 Thank you for your review, Sumit! Please let us know if there is anything we can do to make your residency with us more enjoyable! .submitted by Rebecca B. - Sep 03, 2016 |Recommended: Yes. It's a great place to livesubmitted by Michael C. - Sep 01, 2016 |Recommended: YesIts up to date and has a lot that comes with just the apartment. response from property - Sep 01, 2016 Glad to hear you are enjoying the community! Let us know if there is anything you need! Hands down Best place We've lived submitted by Matt H. - Aug 31, 2016 |Recommended: YesThe few maintenance issues we've had have been relatively minor, but have been fixed within the same day. This surpasses any of our previous residences by leaps and bounds. We feel when any issues are presented that the staff listens and actually cares about getting the issue resolved, not just placating the person making a complaint. They have all been very professional, friendly and prompt in getting things accomplished. The only issue we have is that the sound insulation near the hallways outside the apartments is a little light. We can easily hear people out in the hall as they enter or exit the building. The only reason we do not complain about it to management is that there is nothing that can actually be done about the problem, and it never disturbs us too badly as it is a minor annoyance at it's worst. We love it here, and will regret the day our lease is up and we will be moving on. response from property - Sep 01, 2016 Thank you, Matt!! We appreciate your residency and honesty in your review. Please let us know if there is anything we can do to make your stay with us as enjoyable as possible! response from property - Aug 26, 2016 We are happy to hear you are enjoying your home here with us at The Falls! Please let us know if there is anything we can do for you! Beautiful Placesubmitted by Jen C. - Aug 08, 2016 |Recommended: YesWe have been in our new apartment for a week now and we have LOVED it So beautiful and relaxing The amenities are too fun Noise has been a bit of an issue for us too but does not reflect the apartment complex or the staff. Our leasing agents - AMAZING. Have made the process of finding and securing an apartment one of ease and excitement. You guys really are wonderful The grounds, maintenance, and everyone involved are super. High ceilings give it a modern, homey feel. Spacious rooms and bathrooms with gorgeous vanities and deep drawers. The bathrooms are beautiful with big bathtubs and shower heads. I was concerned at the space for kitchen items, but have been pleasantly surprised at just how much space there is between cabinets, cupboards and pantries. The game room is excellent for kids and adults and the workout room is fantastic The pool and jacuzzi are top notch and so relaxing during the hot summer days and warm nights. The cabanas are fun and beautiful. response from property - Aug 08, 2016 Thank you for the wonderful review, Jen! We are here to make sure your stay with us is as pleasant as possible. Don't hesitate to let us know if there is anything we can do for you! response from property - Aug 01, 2016 So happy to hear your experience with us has been a good one, Dalton! We look forward to getting to know you better and please let us know if there is anything we can do for you! Spectacular And Beautifulsubmitted by Shawn - Jul 22, 2016 |Recommended: YesLove the customer service and the high end units at a comfortable price. Thank you to the Falls staff for my new home! response from property - Jul 22, 2016 We are happy to have you join us, Shawn! Let us know if there is anything at all you need!